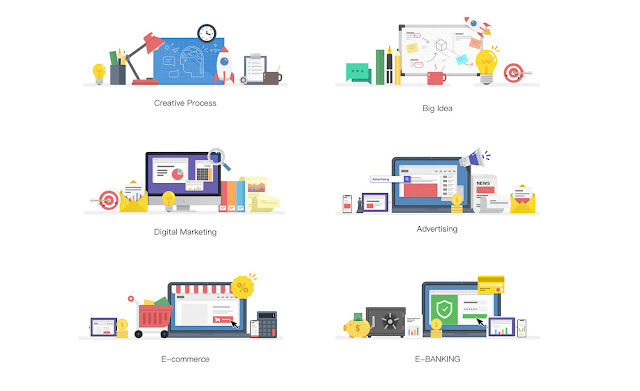 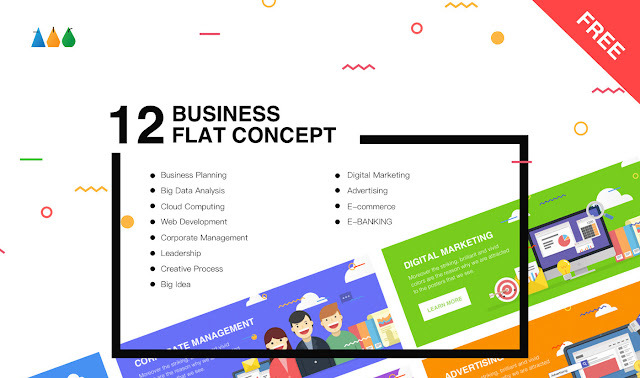 A Set of 12 Business Flat Concept Free Download. 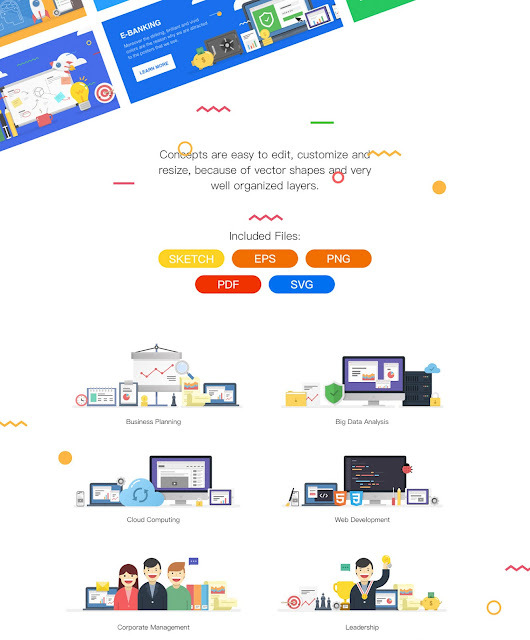 It Includes Banners Design on various topics, Hero image, printed materials, Icons, Creative Work Flow Items and Elements, Vector Illustration.The Files are vector shape, well organized layers and easy to edit. 0 Response to "BUSINESS FLAT CONCEPT FREE | Chumbart™"